Poshe’ Salon is a classic salon where creativity flows as clients and stylists interact together. Whether you are looking for an outrageous change, a simple touch-up, or full-set of nails, our talented hair designers and nail artists will tailor their fresh, cutting-edge techniques to fit your needs. 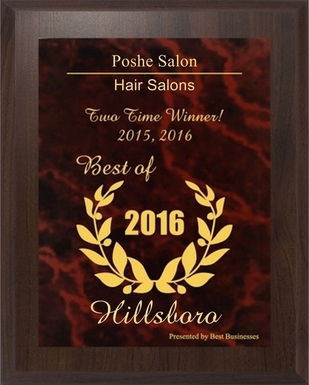 Poshe’ Salon is a salon of affordable excellence. We are a true one-stop salon that is able to provide a complete range of services for every customer. You’ll appreciate our talented and experienced stylists and nail artists. Count on us to deliver an outstanding look, no matter what kind of services you desire. Our talented and skilled hair stylists and nail artists will help you look your very best after every single visit.